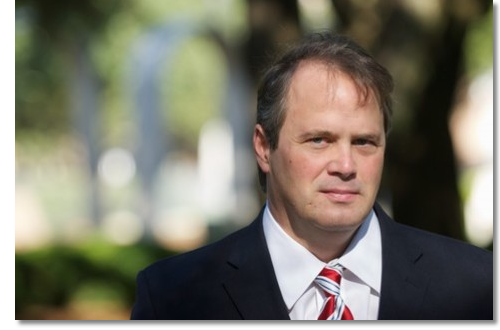 Lucian Hodges has been handling complex litigation and major claims since 1996. The types of cases he has defended vary from: catastrophic personal injury, construction defect, wrongful death, premises liability, product liability, toxic torts, workers compensation, contract disputes, to professional liability. Mr. Hodges is a licensed multi-jurisdictional attorney, and practices frequently in all state and federal courts in Florida, Alabama and Mississippi. Mr. Hodges is Martindale-Hubbell “AV Preeminent” rated in Litigation, Civil Practice and Commercial Law, by other attorneys, peers and judges. According to Martindale-Hubbell, “An AV certification mark is a significant rating accomplishment attesting to the fact that a lawyer’s peers rank him or her at the highest level of professional excellence.” Mr. Hodges was recently recognized as a 2013 Top Rated Lawyer in Personal Injury Law in the September 2013 issue of The American Lawyer and Corporate Counsel Magazine. With regard to construction defects and design, and professional liability, Mr. Hodges has represented architects, developers/owners, general contractors, construction managers, and subcontractors. Mr. Hodges has served as lead defense counsel in a wide variety of such disputes, including dozens of residential disputes, and over fifty condominium, commercial and residential buildings, up to $250,000,000.00 projects. Mr. Hodges believes that cases are often either won or lost in the initial stages of discovery. Therefore it is important to assemble a team of seasoned litigators, support personnel, experts, clients and insurers with familiarity of the industry, its means and methods, and understanding the players involved, including the parties and their attorneys, the dynamics and uniqueness of the venue, and the history and outcome of similar such disputes. Although cases are often reasonably resolved during the discovery stage, some cases must be tried to achieve a fair result. It is Mr. Hodges philosophy to address cases from their initial stages as if the case will be tried to jury. However, Mr. Hodges has also defended clients in numerous significant mediations and arbitrations, some of which involve dozens of parties and take several sessions over weeks and months to reasonably and equitably resolve. A thorough and aggressive defense often achieves results wherein parties that are demanding large sums settle for a small percentage. Not only do the cases revolve around complex and technical factual issues, it takes a legal team that understands the complicated legal matters of the statutory and common laws over many jurisdictions. Away from the office, Luke enjoys spending time with his wife Amy and his daughter Cate and son Lukas. All are avid Alabama football fans.